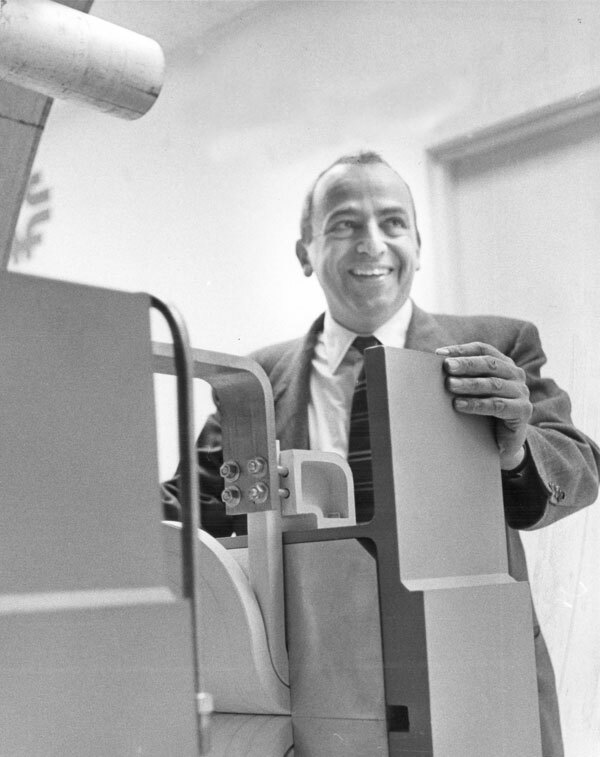 Edwin L. Goldwasser, deputy director of Fermilab at its founding in 1967, died on Dec. 14. He was 97. Goldwasser served as the laboratory’s deputy director from 1967 to 1978, taking an extended leave of absence from the University of Illinois to serve at the new facility in Batavia, Illinois. Goldwasser oversaw the construction of National Accelerator Laboratory — completing it on time and under budget — scheduled its experimental program, managed its Program Advisory Committee and implemented its groundbreaking equal employment program. Together with Director Robert Wilson, he authored the laboratory’s original “Policy on Human Rights,” issued in 1968. “Among many things I think of when I remember Goldwasser’s contribution was his impact on the experimental areas, the bubble chamber program, neutrino physics and the development of the theory group,” Carrigan said. “He gave the laboratory a place for the users, which was not the case in the other laboratories,” said former Fermilab Director John Peoples, who notes that Goldwasser also created room and budget for lab scientists to allow them to go to conferences and bring equipment to the experiments they worked on. After setting Fermilab firmly on its feet, Goldwasser returned to the University of Illinois in 1978 as vice chancellor for research and dean of the Graduate College. In 1986, he took another extended leave to join the Central Design Group of the proposed Superconducting Super Collider accelerator facility, where he served as associate director until 1988. In 1990, following his retirement from the university, he was appointed a Distinguished Scholar at the California Institute of Technology to work on the LIGO project. Goldwasser did his undergraduate work at Harvard University. Following service as a physicist with the United States Navy, he received his Ph.D. in physics from the University of California, Berkeley, then served a year on the faculty there before going to the University of Illinois in 1951. Read Goldwasser’s obituary on the University of Illinois Physics Department memorials website.